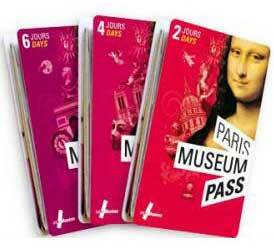 The Paris Museum Pass provides free entrance to over 60 Paris museums, monuments and cathedrals for one bargain price. The pass allows unlimited visiting for 2 days, 4 days, or 6 days and lets you enter museums without waiting in line, as many times as you want, during the validity of the pass. Over 60 museums and monuments in Paris and on the outskirts of Paris can be visited for free with the Paris Museum Pass.